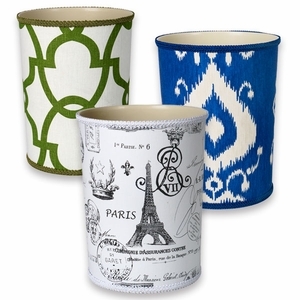 Our fabric covered bathroom trash cans have plastic liners that make them easy to clean. But it�s the fabric outside that is the best part of the design. See also our wicker bathroom decor sets and mirrored bath accessories.